Our Social Network Follow Us! Join the PCG Email List! Pittsburgh, PA – September 18, 2013 – Production Consulting Group, LLC a Pittsburgh- based emerging technologies consulting, video streaming, and media production company, is pleased to announce that Livestream has awarded Production Consulting Group Platinum Reseller status. "We have been very pleased to represent the Livestream product line since the establishment of their reseller program", says Jeff Waller, President of Production Consulting Group, "to have our efforts recognized with the designation of Platinum status, is something we as a company are very proud to receive. The most rewarding part of this designation is that we will be able to offer even more Livestream products, streaming solutions and most of all, an even higher level of the customer support for our current and future Livestream hardware and streaming platform customers." "Our goal at Livestream is to democratize live event production. We're doing that by creating an easy to use and affordable suite of end to end products that address all streaming needs", said Max Haot, CEO and Co-Founder, Livestream. "We’re thrilled to announce that Production Consulting Group supports that vision and will be joining our established group of Platinum Resellers at Livestream." Livestream's mission is to connect people and live events. Livestream offers event owners a complete set of hardware and software tools to share their events with a growing community online. More than 30 million viewers each month watch thousands of live events from customers including The New York Times, Facebook, ESPN, SpaceX and Warner Bros. Records. Founded in 2007, Livestream is headquartered in New York with offices in Los Angeles, Ukraine and India. www.livestream.com. Based in Pittsburgh Pennsylvania and founded in 2004, Production Consulting Group provides a variety of services to the clients across the country in the areas of emerging technologies consulting, video streaming equipment sales and services and live video production. They have received national and regional attention for their work in sports production, educational training and system integrations. 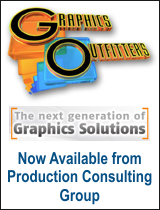 © 2012 - 2019 Production Consulting Group. All rights reserved. Created and Maintained by Production Consulting Group & BNS Web Creations.